Well, it certainly has been a while since we last spoke about the account updates that we are working on. There has been so much going on here at Nitrome that we just wanted to point out that the features are actively being worked on and should be live soon! So on that note, I thought I'd talk in a little bit more detail about them. We have covered the upcoming features briefly in a previous post, so chances are, you know what is expected. One of the cool new features that will be live in the improved system involve comments! This new feature will allow you to actively let other users know that there is possibly a spoiler in your comment. This will involve the other users actively clicking a button in order to view your comment! Another benefit to this is that, if a user forgets about having a spoiler in their comment, the community at large can have the power to report comments as containing a spoiler. So if enough people think the comment has a spoiler, the system will flag it for moderation, more on moderation that in a little bit. Also, we are going to give you the option in your account to turn off game comments! This will be great for those of you that just want to focus on the game itself, or those that just don't want a game spoilt! A lot of people have been asking us about moderators and I thought we'd address it in this post. 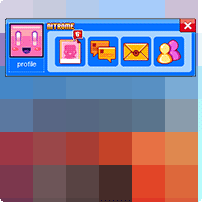 Comments will be highlighted differently when a user is a moderator, in order to better identify people that are actively helping contribute to a clean Nitrome community and gaming environment. We'll bring you more on the accounts updates and features soon, until then, happy gaming!